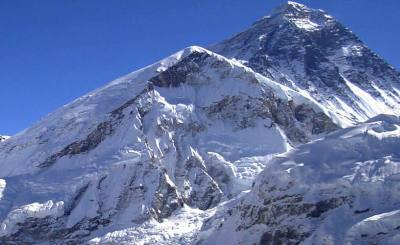 Mount Everest, at a soaring height of 8848 meters has cast many aspiring climbers under its spell. However, not all attempts to surmount the legendary mountain have been successful. So, many of the wise climbers considering their strength, expense and time-restrictions often choose to embark on the journey to the Everest Base Camp (EBC) instead. How would you like to have your footprints marked on the foothills of the tallest mountain of the world while embracing the best glance of Everest from Kala Patthar? Located at an altitude of 5364 meters, EBC basks in its own glory of being the outset station to the mighty Everest (8848m). 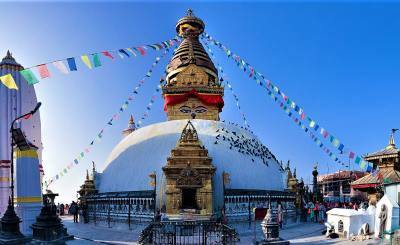 With towering white masses of magisterial stature, four of the ten highest peaks of the world (Everest, Makalu, Lhotse, and Cho Oyu) concentrate in this region. Majority of the trek involves walking through the Sagarmatha National Park, a coveted UNESCO World Heritage Site, which offers the likes of unique flora and fauna. 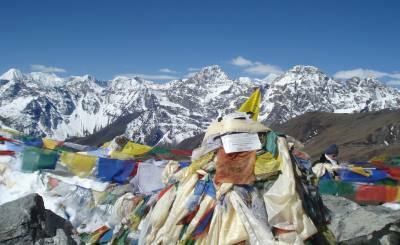 The Sherpa hospitality, culture, monasteries and villages are other commendable feature of the EBC Trek. 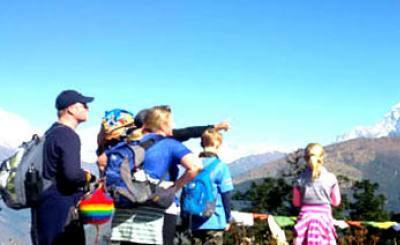 The most common and direct route to EBC is the classic Solukhumbu trek. The journey kicks off at Lukla and proceeds towards Namche, the “Gateway to Everest”. A day or two is spent here for acclimatization. 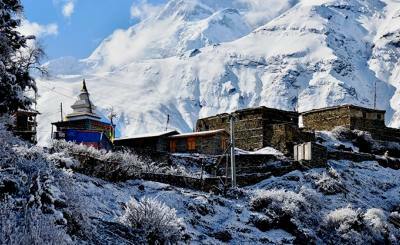 Tengboche Monastery, which is deeply sacred to the Sherpa ethnicity, is another highlight of this trek. 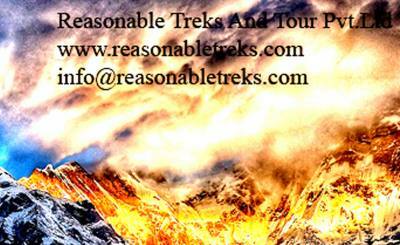 Following the path to reach Kala Patthar, the highest point of the trek, magnificent views of the Mt. 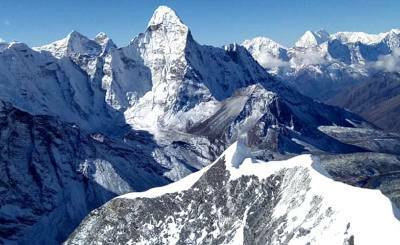 Everest, Khumbu Glacier and Icefall are relished which cannot be experienced from the Base Camp. The perfect route for slow walkers, this route is relatively less crowded. The path renders astounding mountainous views while witnessing the unique Solu Sherpa culture. The route begins as you slowly make your way inwards from the outskirts of the Lower Solukhumbu to the trade hub of the region, Namche Bazaar. Upon reaching Tumlingtar, located in the eastern region of Nepal, you can set off to Lukla from there. The trails begin at lower elevations so the trekkers have to be prepared for the fluctuations in temperature as they move forth. The trek begins slightly west from Namche towards Gokyo Ri. The villages of Gokyo are one of the highest human settlements and the place is even more famous for its turquoise lakes. From Gokyo, you cross over Cho La Pass (5420m) and descend to Lobuche and head towards EBC. The only flipside is that the weather is unpredictable. The months from March-May, and September – December is the most convenient time to commence the journey to EBC. The late September – November, and Feb – May are busy trekking periods that provide stable weather conditions, less cloud cover, vivid visibility and most importantly, an endurable temperature. Spring offers to bloom of rhododendrons and allows a greater length of daylight for exploring various places with an upgrade in temperature of -6 degree Celsius compared to a freezing -15 degree Celsius occurring at other seasons. Autumn supplies clear skies and post-monsoon topography that gives a verdant edge to the picturesque landscape. There is also heat haze during this time. It is possible to trek during winter (January – February) when the trails are less crowded but not recommended as the temperature drops to a wicked -30 degree Celsius. The trails to EBC are challenging and have an alarming altitude and make it a daunting task for trekkers with an average fitness regime. 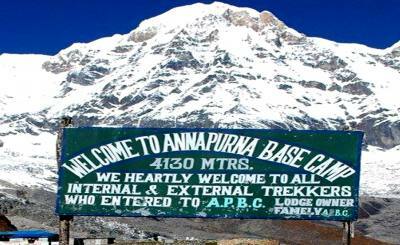 Prior to commencing the journey, it is better to take up a workout schedule that gets your physique ready for the trek. Be sure to engage in high-intensity cardiovascular exercises regularly for several weeks. Since the paths are strenuous, it is encouraged that trekkers indulge in activities such as hiking, cycling, hill-climbing to pick up the momentum and prevent muscle cramps on the actual trek. Walking up and down the stairs is also very much recommended as you are likely to encounter stony staircases along the way. Avoid wearing cotton as it absorbs moisture. The dramatic change in weather due to altitude variation from Lukla (2840 meters) to Kala Patthar (5550 meters) also demands the concept of layering. Smart wool base layers are recommended while traveling to cold regions. The second layer should be made up of an insulating material such as fleece. The outer core layer consists of wind and waterproof trousers and jackets that will keep you warm. A pair of hiking shorts is required while trekking at warmer places. Hiking boots with sharp grip, ankle support, and waterproof uppers should be worn along with warm thermal socks. Trekking poles and sticks are widely recommended as they reduce stress on the joints. Altitude sickness is an issue that might affect even the fittest trekker of the bunch. Hence, acclimatization days on Namche Bazar should not be taken for granted. The symptoms include breathlessness, dizziness, headaches, sleeplessness, and loss of appetite. If you feel like you have surrendered to any of the mentioned symptoms, you must inform your guide at the earliest indication. Foreign trekkers are highly recommended to take prescribed vaccinations before entering Nepal as the environment may be hostile to the newcomers. The majority are prone to allergies that might take a deadly turn when ascending higher elevations. It is wise to avoid tap-water and groundwater on the trek and only entertain bottled water that is safe for drinking. Be sure to carry water purifying tablets as the remote locations might not provide bottled waters and you will be compelled to take a sip from the natural springs and streams. The scorching sun is harsh and the gusts of winds are sharp too. So, put on loads of sunscreen and wear dry-fit, long-sleeved tops, scarves, masks and reflecting sunglasses to avoid sunburns, frostbites, UV Rays, insects and blisters. After taking all of the mentioned features into consideration, you might have felt a desire to quench your thirst of adrenaline. As per the mountaineering anecdotes of the Himalayas, it is safe to say that EBC does not disappoint when it comes to providing full-fledged adventure. 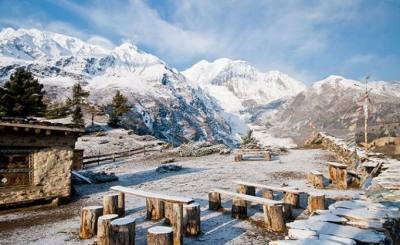 It would be a shame to miss out on all the magic and aura of the Everest region. 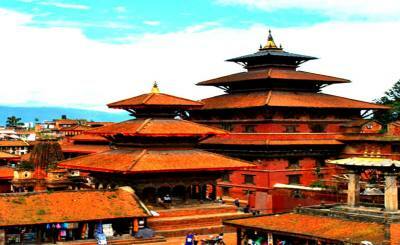 Hence, look no further and plan your trip to the foothills of Everest as soon as possible.